As you are aware Feher Rubbish, Inc. ceased to operate as of May 11, 2018. As a consequence, its employees, customers, vendors and other stakeholders have been left with many unanswered questions and concerns. With the appointment of a Receiver on May 23, 2018, we have begun to gather information and facts in an effort to provide an accounting to the Court. We appreciate that you may have issues and concerns that you wish to have answered. Please feel free to use the attached e-mail link (receiver@feherrubbish.com) or call (800) 649-0315 to report your issue. Unfortunately, with the number of people impacted by the Feher situation, we may not be able to respond to complaints individually, but we will attempt to post periodic updates to this website when we have more information to report to you. Are you unhappy with the way your current garbage disposal works, or are you searching for a highly reliable garbage disposal company that has an untarnished reputation? If so, we are happy to assist you. At Feher Rubbish Removal, we are proud of our trash removal services. We have been in the business for more than 50 years, and have been serving our customers in the Geneva, Ithaca, Rochester, Syracuse, Watertown & Utica of NY areas with exemplary services. We are proud to provide prompt and reliable trash removal services as we continue our goal of delivering effective services. For the residential areas, we provide contracted services to our clients including temporary labor available for loading containers. We have 32, 68, and 95 gallon roll carts that can pick up a large amount of trash at one time for added convenience. For commercial requirements, we can collect large items, complete clean outs, or pick up the debris from a construction site. We also provide small roll off containers for smaller collections. For special needs, the company only supplies containers from one to ten yards. Our compaction equipment is also available for special uses. We can combine sizes and can customize pick up schedules to meet your needs. Finally, the trash that we collect is also recycled for the good of the environment. Feher Rubbish Removal can dispose of your trash in a number of ways. We can adapt our services to cater to many instances. Call us at (315) 422-0715 and get a free estimate. Let us know how we can help you. Feher Rubbish Removal, Inc. is a local family owned and operated business that places our customers first. We have been in business for over Fifty (50) Years; and we plan on continuing our services for many years to come. Our reputation for service and dependability are recognized throughout the region. Our corporate offices are located in Syracuse, NY with branch offices in Geneva, Rochester, Watertown, and Utica. 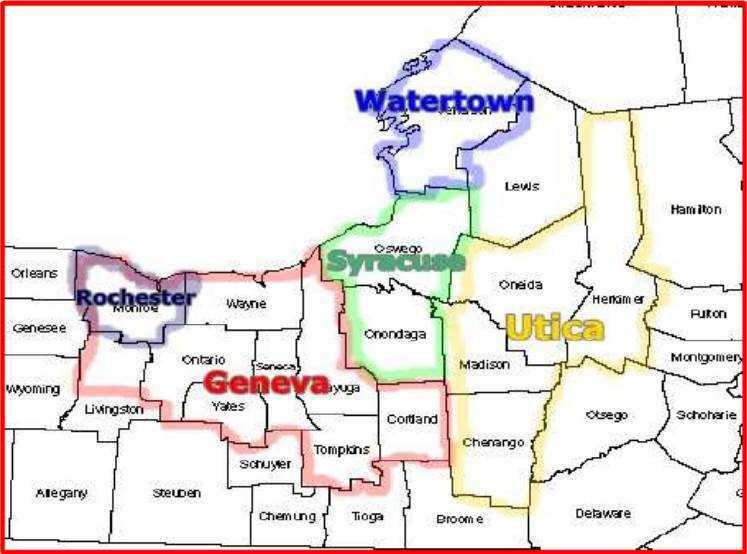 This makes it possible for us to provide prompt service all over Upstate New York. Confidential paper shredding - We have an on-site shredding system for confidential papers and documents. Roll Carts - Three (3) different sizes 32, 68 and 95 gallon carts are available. Compactor Units can be rented, installed, etc. Temporary labor is available for loading containers Feher Rubbish Removal, Inc. can also fabricate custom roll off boxes in our shop to meet your individual needs.